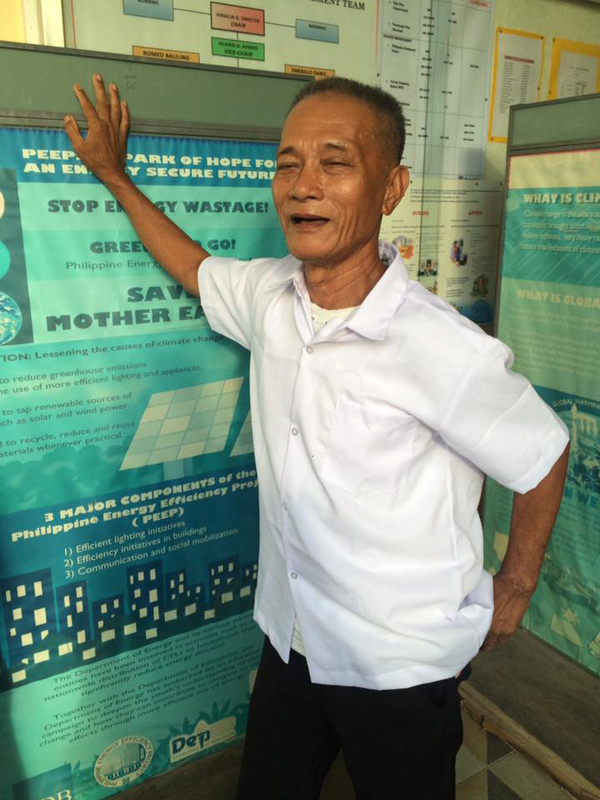 MANILA, Philippines- With senior high school program being offered for the first time in the Philippines this year, a 68-year-old former fisherman from Tagbilaran City in Bohol has decided to become one of the pioneer enrollees in the education program. In 2012, Lolo Virgilio Pentacasi, a native of Catarman, Dauis, enrolled in grade 7 out of boredom. After graduating from junior high school, the senior citizen decided to continue his studies. Fondly called “super lolo” by school officials, Lolo Virgilio said he didn’t get to enroll in high school when he was young due to lack of resources. Coming from a family of fishermen and farmers, Lolo Virgilio worked as a fisherman for many years. When he was too old to work, he decided to pursue his life-long dream of finishing his studies. With the help of his younger brother, age 66, Lolo Virgilio gets to go to school everyday with a daily allowance of P20. Since he is interested in cooking and is willing to learn more in the subject area, Lolo Virgilio took cookery in the technical-vocational track. In an interview with ABS-CBN News, he revealed that his favorite subject is Math and is not fond of Filipino and Araling Panlipunan. A believer in education and hard work, Lolo Virgilio said he wants to go to college if someone will shoulder his expenses. He emphasized that even at his age, he is fit to go to school as he has no illness and does not take maintenance medicine. On Monday, June 13, the government has started the full implementation of the senior high school program in the country. Around 1.5 million students joined the first batch of students in Grade 11, which leads in two additional years in basic education in the Philippines. Speaking to the Philippine Star, Education Secretary Armin Luistro said that there are 11,000 private and public schools in the country offering the senior high school program. “We celebrate this historic moment in Philippine education and enjoin every citizen to work hand-in-hand with DepEd in ensuring the success of these new programs,” Luistro said.